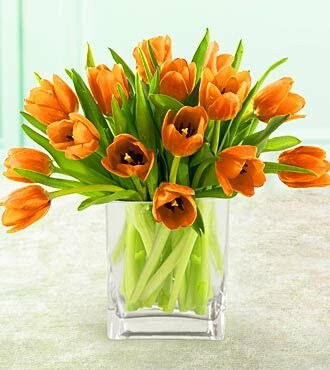 Babblings of a Mommy: Spruce Up Your Home 4 Spring. 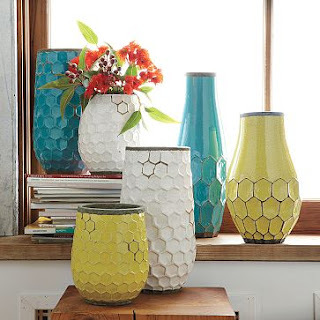 Spruce Up Your Home 4 Spring. Spring is literally knocking on our door, and with just a few minor changes you can get your home spring-time ready in no time! 1. Fresh Cut Flowers--I'm a BIG fan of having fresh cut flowers year around, especially for Spring. My favorite? Tulips. 2. Nature Inspired Bedding--Nothing says springtime more than bright cheery bed linens. 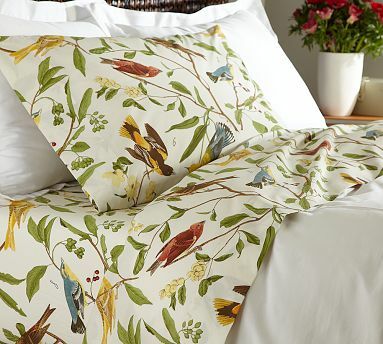 These Pottery Barn Spring Sparrow Sheets are absolutely adorable! 3. Bright Vases--Bold & colorful, these Hive Vases from West Elm are the perfect accessory to add a pop of color to any room. 4. Colorful Pillows--Changing your everyday throw pillows to a more vibrant color and design will be the finishing touch your room needs to spruce it up for spring! These pillows from Thomas Paul and Inhabit Reef are ideal. I like fresh cut flowers in the house too and I really like the coral pattern on that pillow. I can't wait for spring!